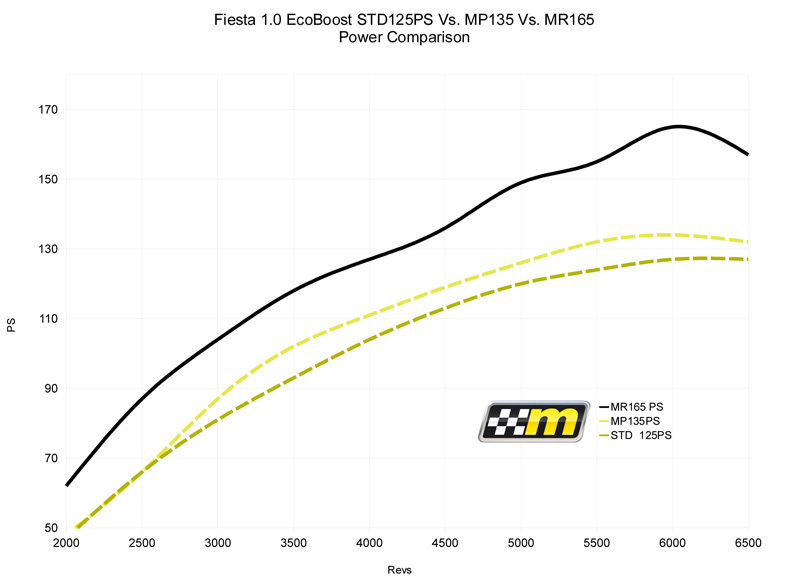 Mountune are producing performance enhancing products for both the Ford Fiesta and Focus, increasing PS and Torque and improving acceleration speeds. The upgrade systems are an ideal way to extra a little extra boost to your car in an affordable and worry free way. Both new and old versions of the Fiesta ST are compatible for Mountune upgrades, on top of the award winning 1.0T EcoBoost. The Focus ST and 1.6 EcoBoost can also be enhanced as well as older ST and RS models. Two different upgrades systems can be added to each car, one higher power and one lower, all with a minimum of 12,000 miles, 12 month warranty. 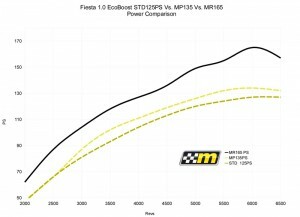 Adding the top performance £1399 (exc fitting) MR165 system to a 1.0T Fiesta EcoBoost cuts 2.2 seconds off it’s 0-60mph time, dropping it from 9.4 seconds to an impressive 7.2. The system also comes model specific essential extras, such as advanced intercoolers and air filters. Due to the tweeks the car must have to house a Mountune system, future upgrades and updates can be fitted with ease. Mountune performance systems are available as an optional extra and can be purchased either as a one off payment or added to a monthly finance agreement. Having a upgrade kit installed will not affect your Ford Manufacturer warranty in any way, in addition to extra warranty added by Mountune.